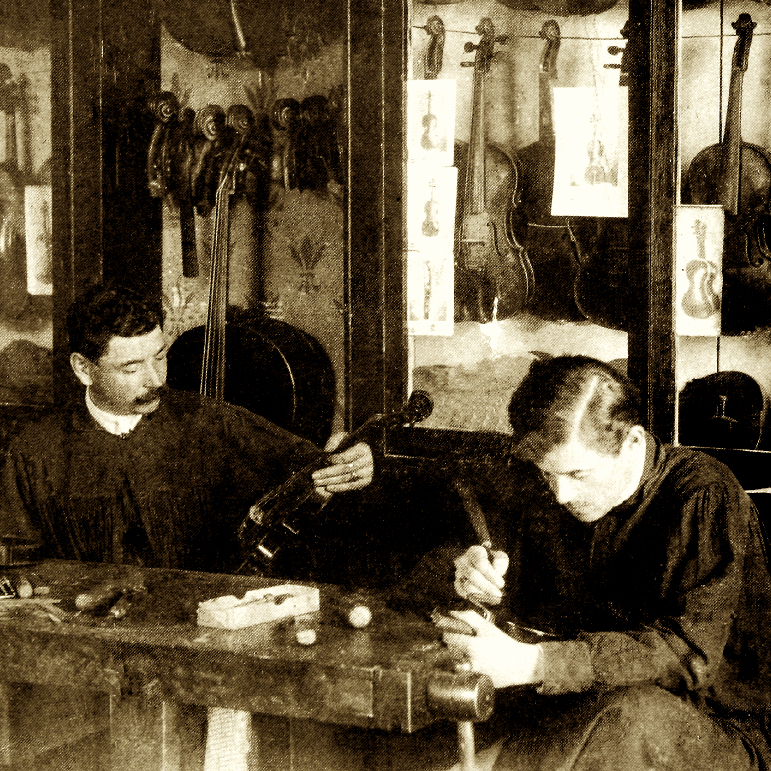 Known as the ‘English Amati’, Banks emerged as a stringed instrument maker in the 1760s in Salisbury in the West of England with a fully developed style representative of the best London practices of the day. Despite living 75 miles from the capital city, he had considerable connection with the London trade. Examples of his work are found with the brand of Longman & Broderip, and of Thomas Cahusac ...Read More a major London retailer whose son married Banks’ daughter, Anne. 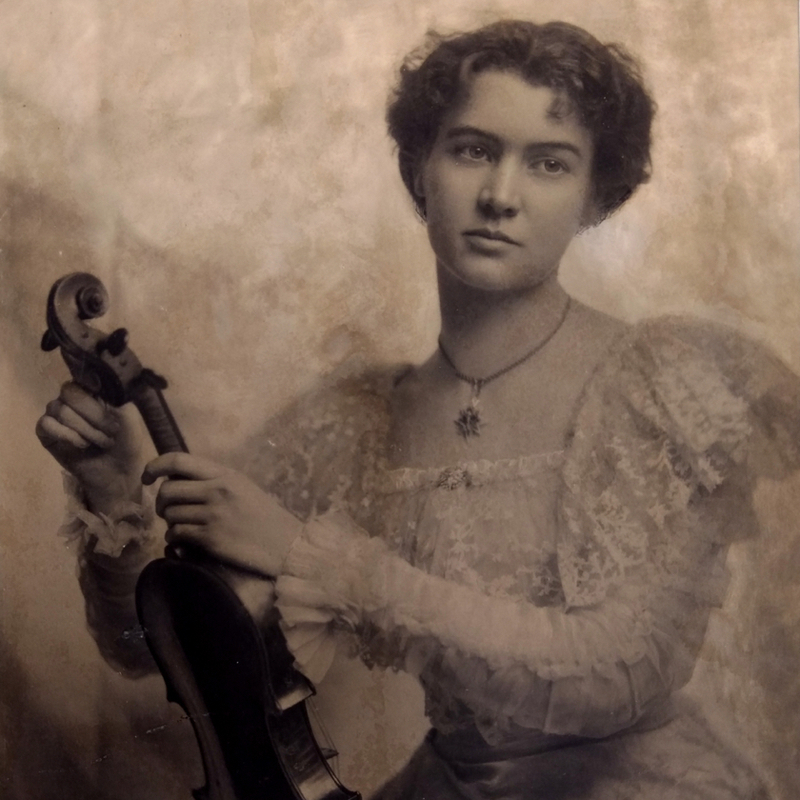 Some of his violins demonstrate a close stylistic connection to Forster, and evidence that he worked in London at times comes from the label of a violin, ‘Benjamin Banks/London 1789 from/Salisbury’ and a violoncello labelled and signed internally once again identifying him as ‘from Salisbury’ giving his temporary London address as 30 Sherrard Street off Golden Square. There is also some suggestion that these were made by the eldest of his nine children, but the workmanship of the 1789 violin is typical for the elder Banks. He typically used a distinctive red varnish for most of his works, with a slightly milky and opaque consistency that sets it apart from comparable varnishes used in London. He occasionally used a golden-brown varnish associated with some of his Stainer copies, and in London he appears to have used whatever varnish was locally available. His labelling of instruments is erratic. They are often stamped ‘BANKS’ on the back, below the button, but this can be superimposed by brands of other retailers. He used the same brand internally on the linings all other parts of the interior and on the pegbox, following a convention also adopted by William Forster. The top and bottom block is usually initialled ‘B.B.’ or ‘Banks’ in large writing, and he frequently signed the instruments on the inside of the belly with the same text as the label, but there are no hard and fast rules and exceptions are frequent. One identifying feature is found in the fluting of the back of the pegbox where the termination isn’t blended and leaves a small flat triangle at the base; a throwback to early English making and rarely seen after about 1730. His printed labels normally read ‘Made by. BENJ. BANKS,/CATHERINE STREET, SALISBURY, 17 [the last digits in ms.]’ with a decorative border. Bows branded BANKS were made for him by members of the Dodd family in London. The majority of Banks’ work is inspired by Nicolo Amati. He used a variety of patterns including the generic English model exemplified by Kennedy. Stainer copies are rarer, and rarest of all are the cellos that he built on a Stradivari model around 1775 apparently derived from the 1730 Pawle. His best work reflects the delicacy of the original models he was copying. His cellos are particularly prized and normally made to a slightly small pattern. 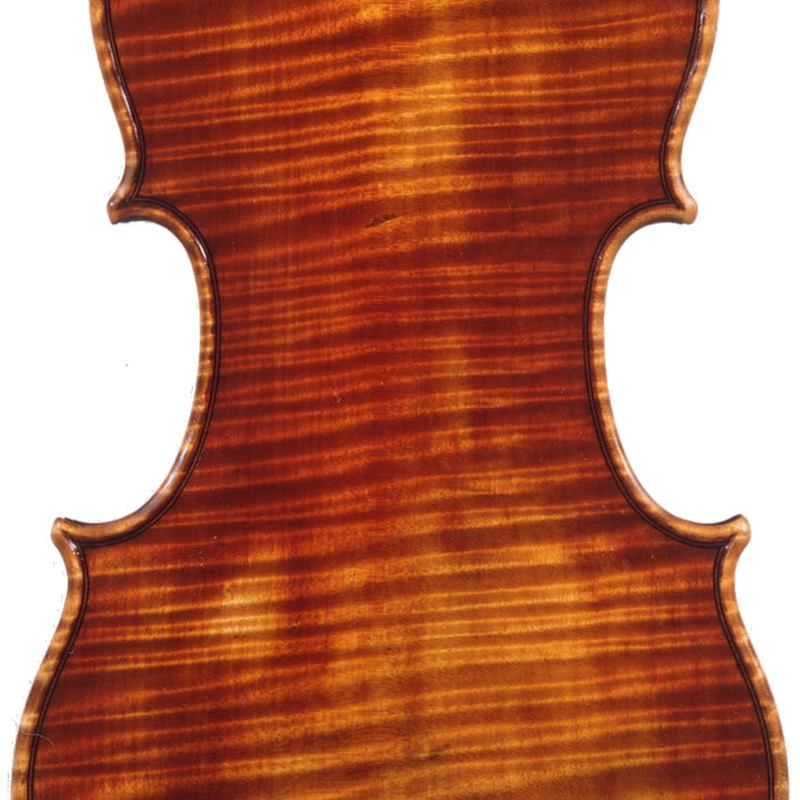 His violins are highly regarded but his violas made to the same standard are prejudiced for their small size as is typical of English makers of his generation. Banks made instruments to a variety of qualities to suit different markets. Some of his instruments have broad and relatively robust edgework and large corners. Evidence suggests he used his influence in a regional Cathedral town to draw upon an ecclesiastical market at a time when instrumental bands were commonplace in English churches. - The auction record for this maker is $128,601 in Mar 2014, for a cello.